Dave Grohl of the Foo Fighters. Thanks for the inspiration, Dave. My “drafts” folder has grown to a record number of half-finished posts. Some need a little more thought. Some date to some event that no longer feels applicable. Some, I’d love to publish but they perhaps reveal a bit too much about my son or our lives. I was browsing through them this morning, searching for inspiration. At the same time, I was listening to the “All Songs Considered” a weekly music podcast from NPR. I listen occasionally — it’s a good way to discover new bands that I’d never hear on the radio. But this episode was of particular interest to me because the guest was Dave Grohl of the Foo Fighters, which happens to be one of my favorite bands. Grohl’s story is pretty well-known, but for those unfamiliar, here are some of the high points. He was in a series of bands through his teens before landing a gig as the drummer for seminal 1990s alternative group Nirvana. When Nirvana broke up following lead singer Kurt Cobain’s suicide, Grohl decided to form a new band. He recorded a demo which became the Foo Fighters’ debut album. Here’s the interesting part: On that demo, he played every instrument. He wrote all the music. He wrote all the lyrics. He sang all the songs. When he added musicians to fill out a band so he could take this new music on tour, he was the lead singer and lead guitar player. 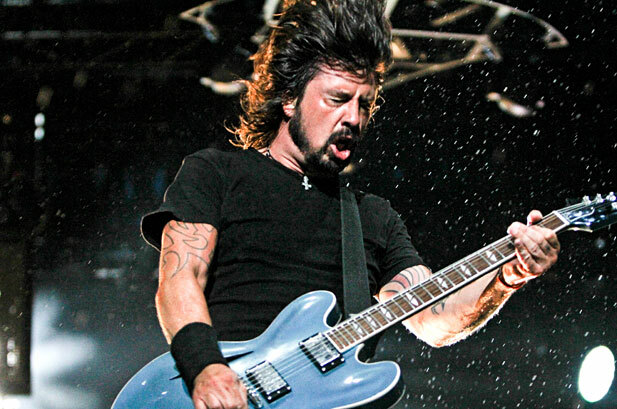 Close to two decades and tens of millions of albums later, Foo Fighters are staples of the adult contemporary charts and Grohl has authored a bushel full of familiar rock anthems, including My Hero, Everlong, Best of You, Learn to Fly, The Pretender and many more. While discussing the band’s latest project on the podcast, Grohl was asked how his decision to become a musician went over with his parents. His father was a speechwriter and his mother a public-school teacher, so “rock star” probably wasn’t the future they had in mind for their child. I heard his answer just as I was sifting through my drafts, trying to something that I could polish up and publish today. His answer made me stop and take notice. I replayed it several times to capture exactly what he said. Grohl had decided a musician was what he was going to be. More than that, he realized a musician was what he was, and he needed to pursue it. At some point he dropped out of school to chase his dreams full-time. He was asked how his parents reacted to that decision. My mother [the school teacher] always said that it wasn’t necessarily the kid that fails the school. Sometimes, it’s the school that fails the kid. And for someone like me, whose brain might not work like everyone else, it might be better to find another way to become myself, because it wasn’t necessarily happening there. So, it wasn’t easy … but I’m thankful that [my parents] understood there was something inside me that was going to help me make my way out. It was the words “brain might not work like everyone else” that grabbed me, and made me think of Ryan, of course. But here’s what struck me about the entire statement. You may love the Foo Fighters or you may hate them and think rock and roll is a waste of time. Or, like my buddy G, you may think Grohl should have never stepped out from behind Nirvana’s drum kit. No matter. I think we can all agree that a person who can write songs, write music, and play every instrument on what would become a platinum-selling album has a talent, a passion, a focus, a drive. What if that creativity, that energy, that outsized TALENT had been stifled in the name of following the only prescribed path? Before I go too far down this road, I am certainly not advocating for dropping out of school. Grohl is, of course, lucky. The music industry, like athletics or any entertainment field, is littered with talented people who never got the breaks needed to become the star Grohl has become. The point is this: We are all different. We all have different strengths and weaknesses. Of course, there are common skills and abilities we all need to master to some degree to have what would be defined as a successful life. My son’s brain does not work like everyone else either. If he were forced to experience the educational system in the same manner as “typical” (for lack of a better word) students, his school experience would likely be a miserable failure. I am thankful every day for the team we work with, who offer modifications and support and recognize that there are many paths to success and not all of them are the same. They recognize that sometimes social growth is as importance as educational growth. Because of that, Ryan is in a school environment where he can “become himself,” just as Grohl spoke of. For whatever reason, Dave Grohl had to leave school to find that environment. I don’t know why. Clearly, it has worked out for him. My son? He’s finding his way in school just fine.